Thought these pictures might be an interesting comparison. 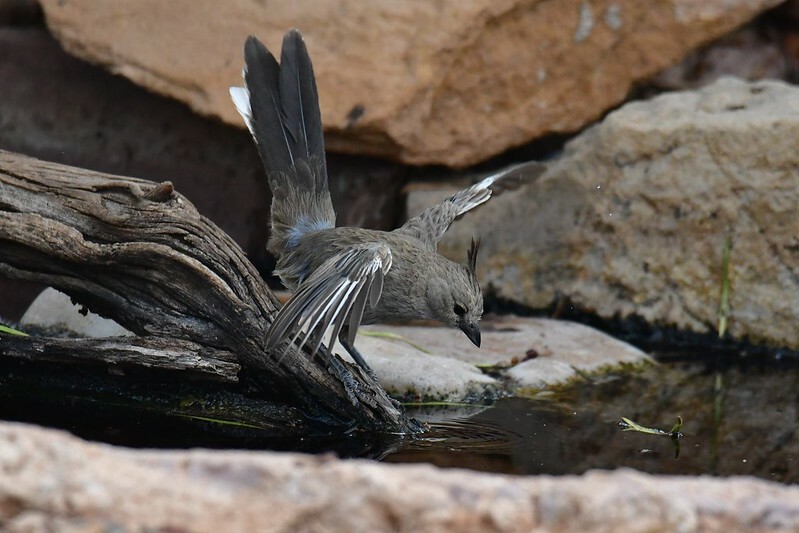 The first is a Chirruping Wedgebill seen at the Arid Lands Botanic Gardens in Port Augusta. It almost fell in the water but the patch of blue surprised me as I cannot see it mentioned in my bird guides. 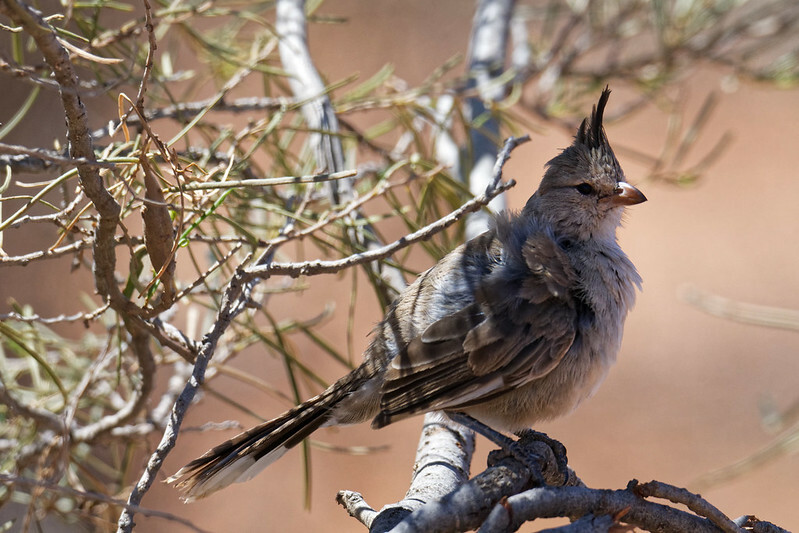 The second one is a young Chiming Wedgetail seen between Coral Bay and Denham in WA. As you can see, the birds are very alike. However the calls are quite different and the locality helped. That is a very cute pose for the wedgebill! Great moment there. Gorgeous photos Sue ... first one looks like its admiring its reflection ! Do not remember ever seeing photos of these before ! Thanks for posting.